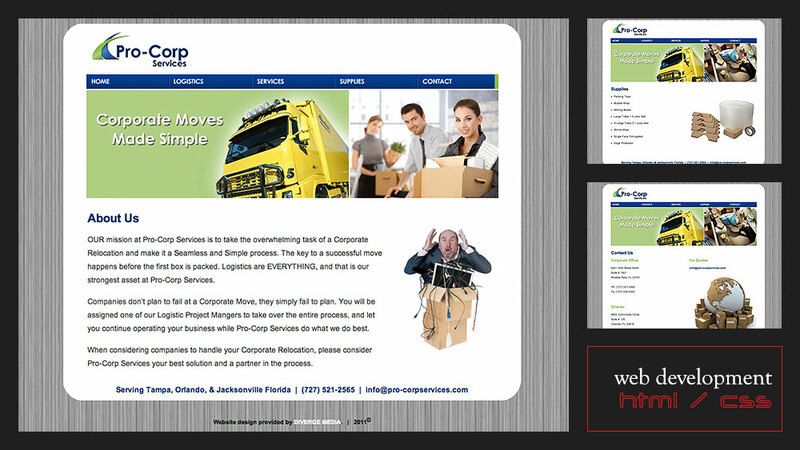 Pro-Corp Services called us to help them develop a simple site very quickly. They needed to establish a web presence for their new start-up company to support aggressive business development efforts. With a narrow two week turn-around, we delivered a fast, clean, and effective website. The client had already purchased a Flash piece that they wanted to use in conjunction with the site. We customized and rebranded the piece to fit with their identity and provided new imagery to align specifically with their services. We also developed secondary flash/no-flash banners that didn’t incorporate the animation and audio effects.